Edward Cella Art & Architecture presents Field Language, an exhibition of new ceramic sculptures and works on paper by David Hicks. 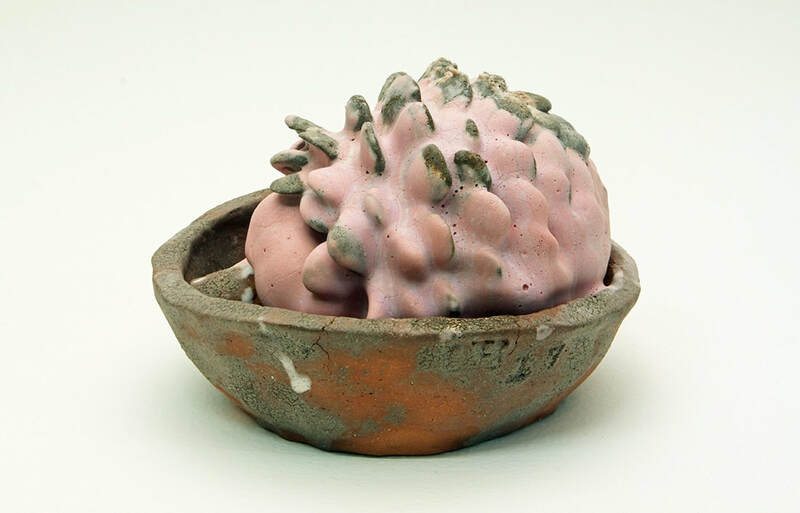 Drawing inspiration from the cultivation of nature through farming, Hicks creates what he calls a “library” of experimental ceramic forms that resemble beautifully decayed produce. 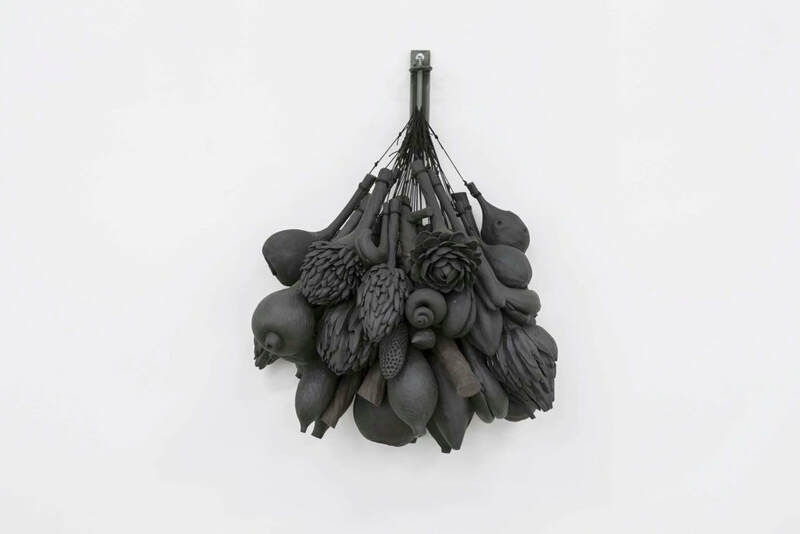 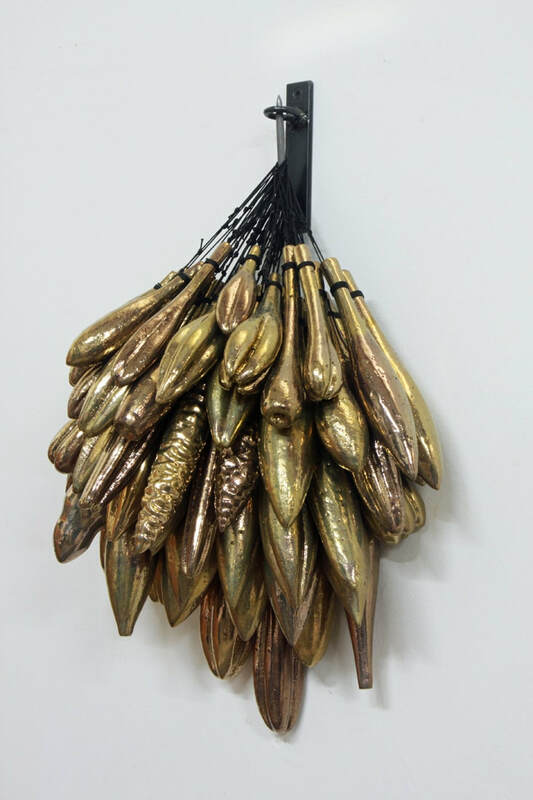 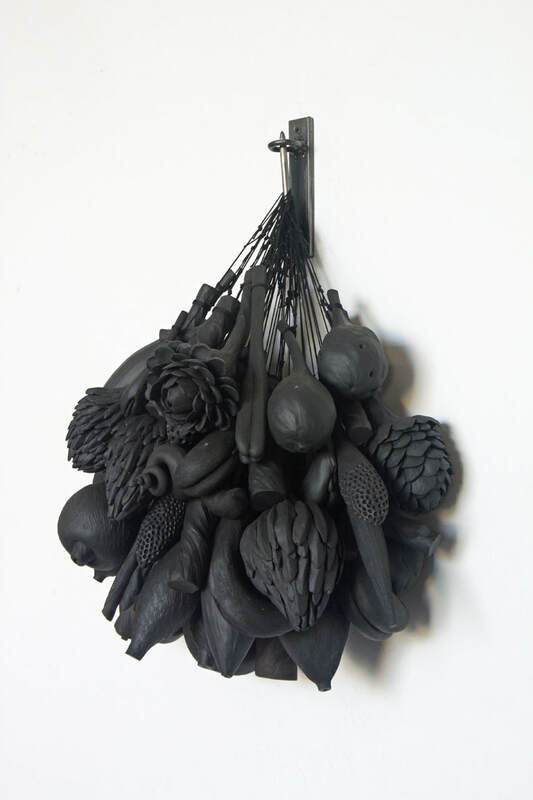 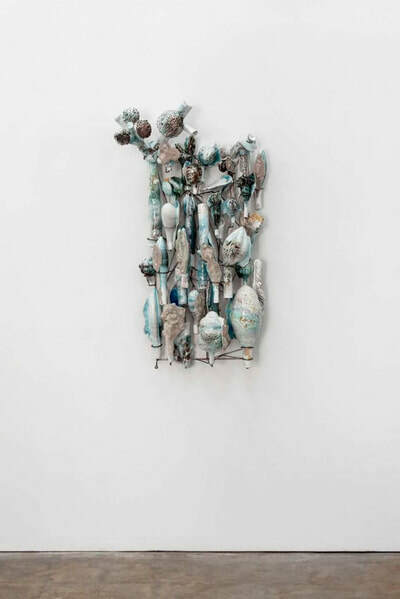 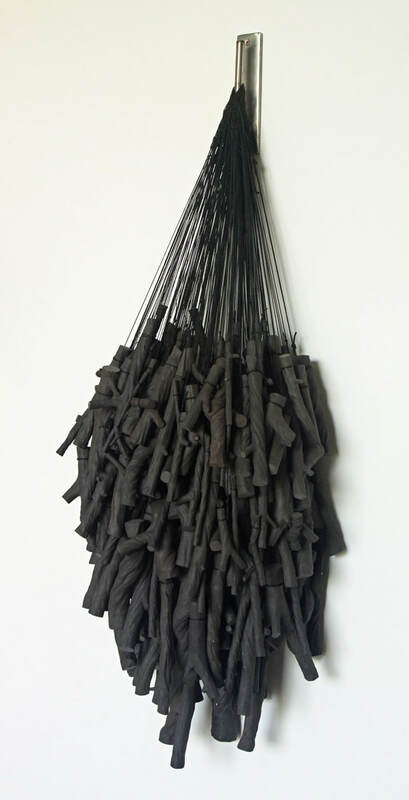 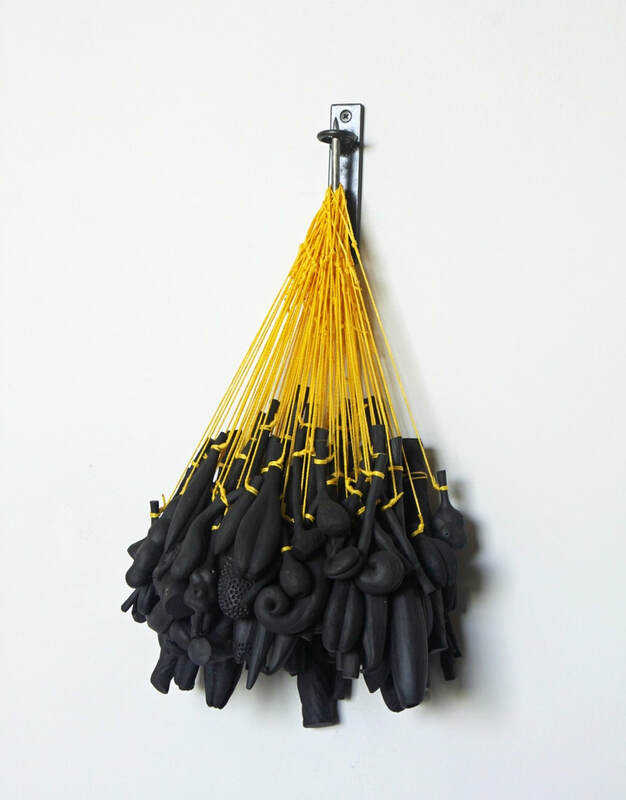 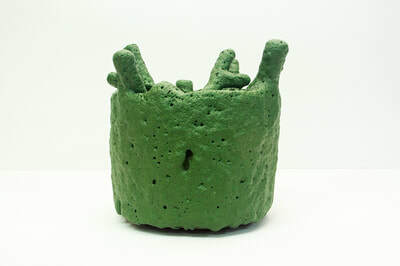 These individual ceramic elements are assembled together by welding wire armatures aggregating dozens of disparate pieces into singular large, wall mounted sculptures or in large fields. 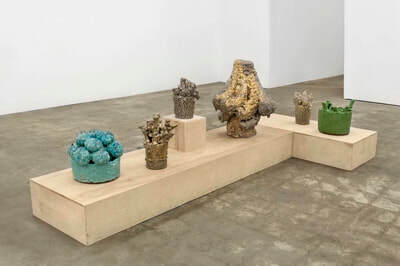 This new series displays an assortment of surfaces, colors, and shapes that will be exhibited as groupings of objects in the gallery’s project room and front windows. 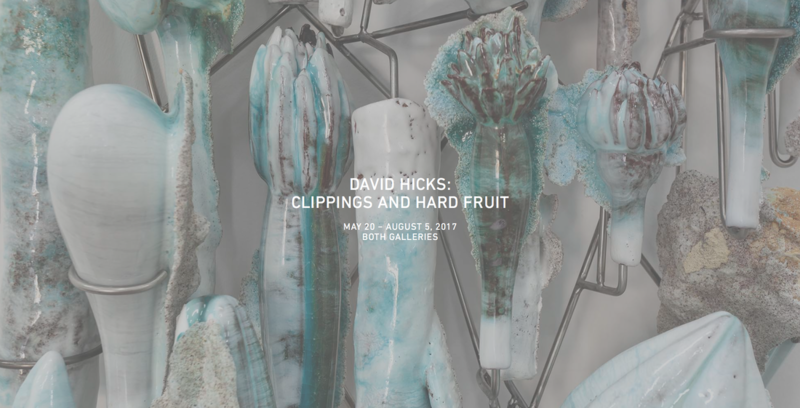 Hicks’ awareness of his own attraction and appreciation of agriculture, the politics of labor and those who labor can be found in the fields surrounding his home in California’s Central Valley. 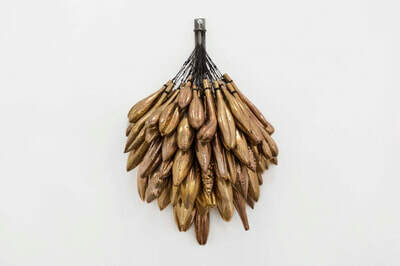 Often called the “Bread Basket of the World”, forms that could be hanging from trees, in the hands of migrant harvesters, on our tables or rotting on the dirt, find their way into his obsession with this increasingly standardized process. On May 20th my solo show titled Clippings and Hard Fruit will open at the Mindy Solomon Gallery in Miami Florida. 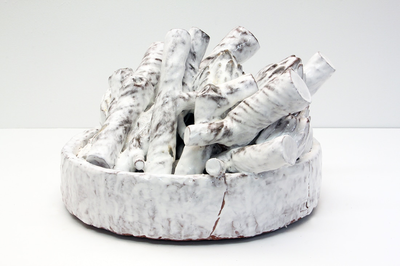 The show will contain new work that highlights a shift in the studio practice. 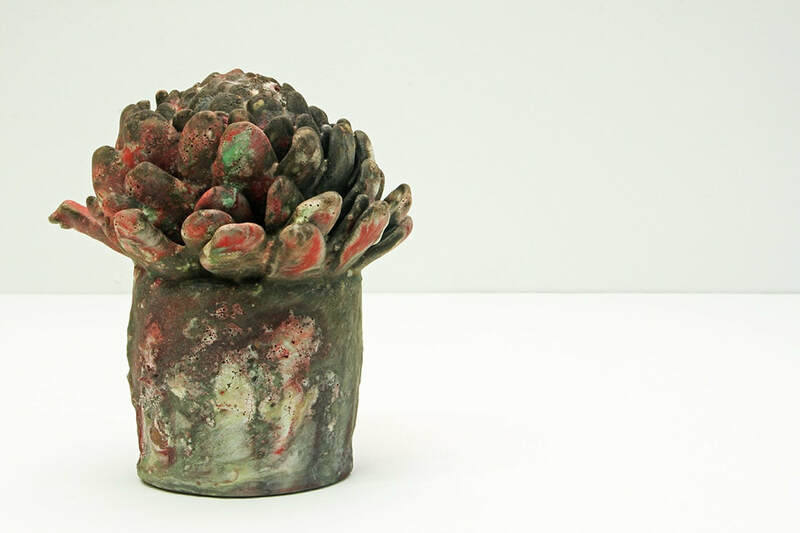 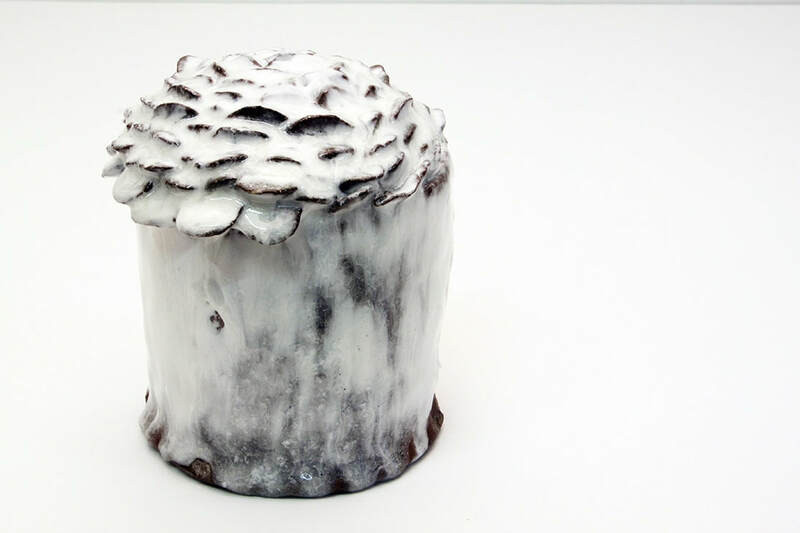 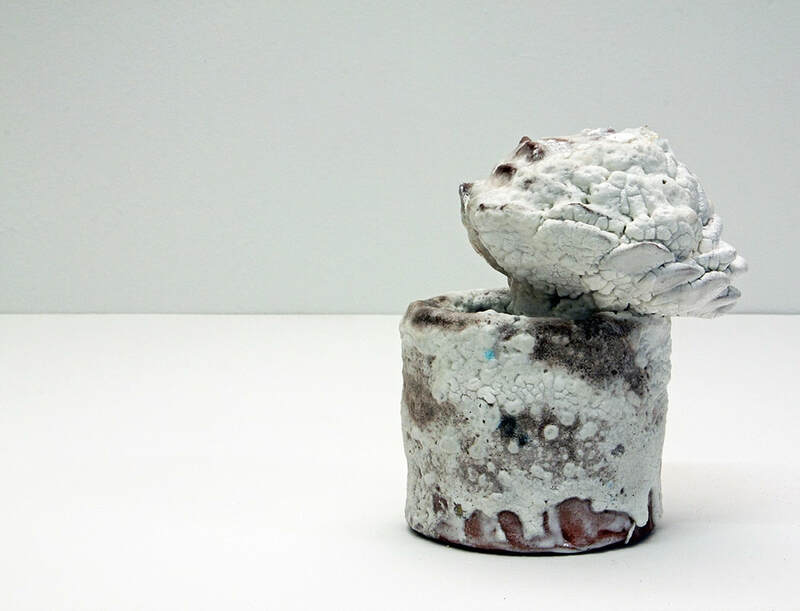 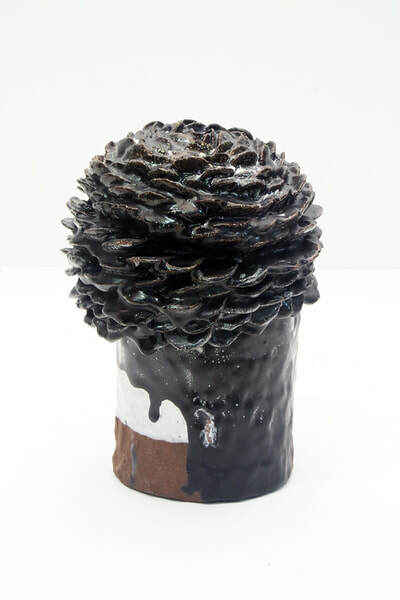 Centering on stand alone objects the show will be filled with an artists conversation on nature, self and the human condition necessitating the desire to collect. 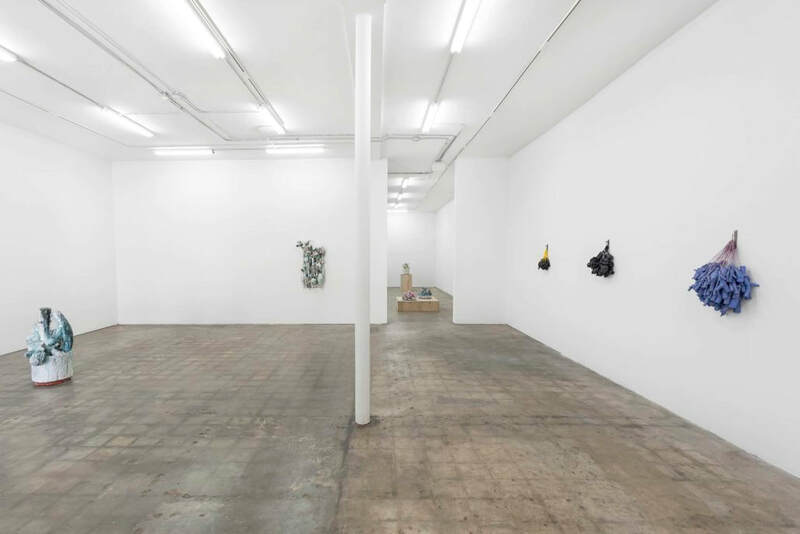 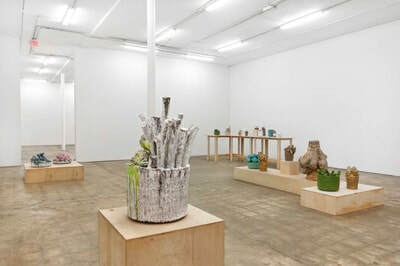 Works produced for the show comprised of more than 2000 hand made elements coalesced together into singular masses or arranged in collective assemblages of color and form. 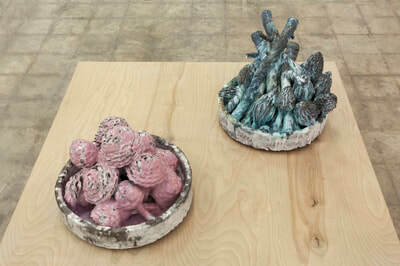 From the wall to table these works will represent a transition and foreshadow new directions taking shape in the studio. 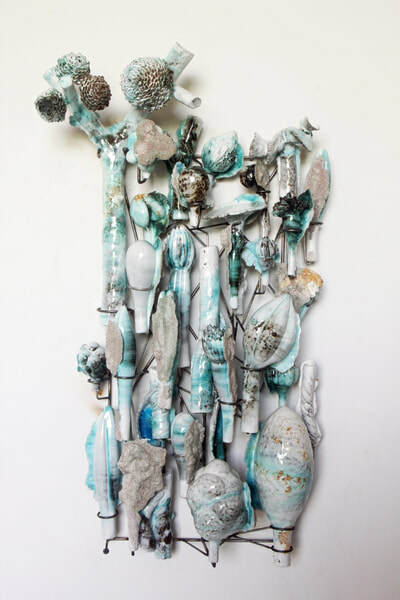 Please come see the show if you are in the Miami are or stay connected and see works as the are published in the lead up to the opening night and after. 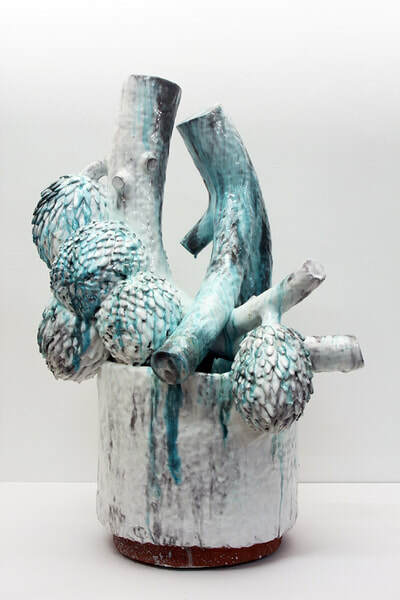 Update: All works from the show are available for view in the new works section of the site. Below are some installation images of the gallery. 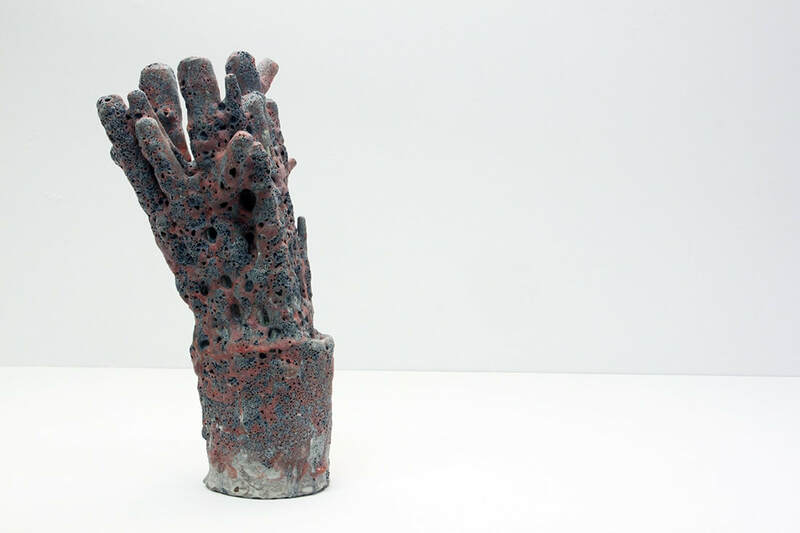 (Los Angeles) - Edward Cella Art & Architecture is pleased to announce New Works, a two-person exhibition featuring hand-formed and assembled terra cotta and steel sculptures by David Hicks, and gestural, abstract paintings by Chris Trueman. 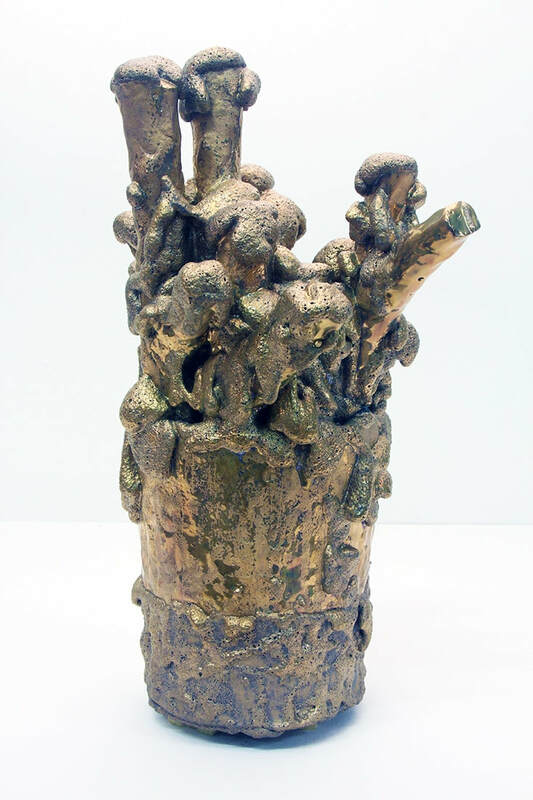 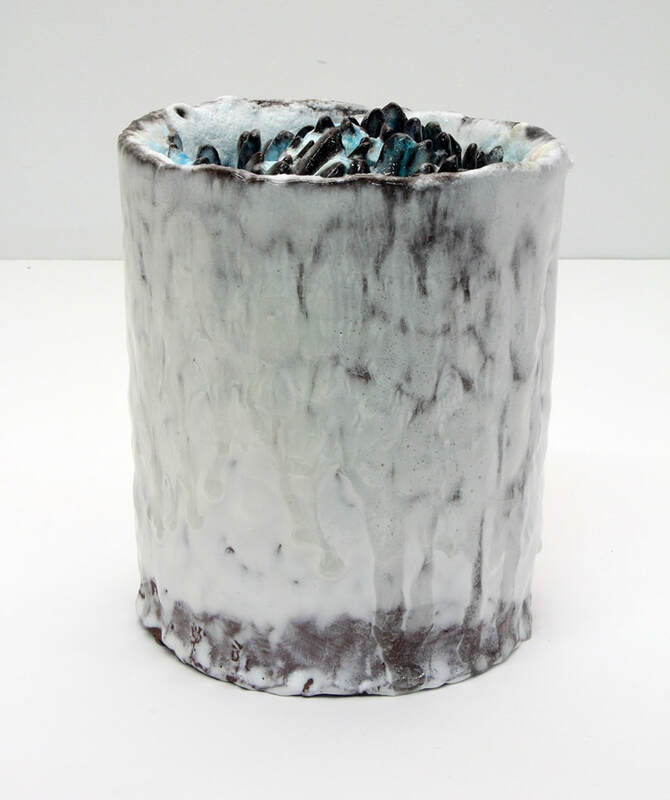 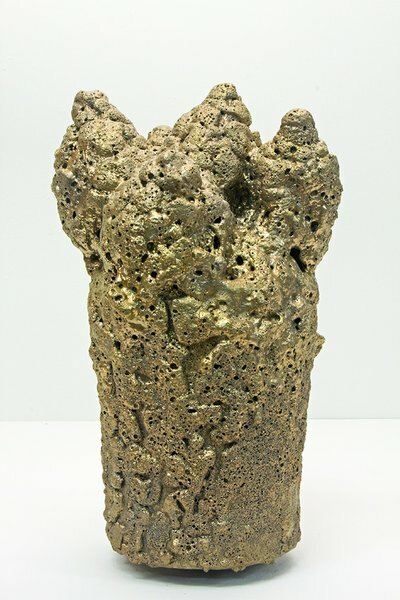 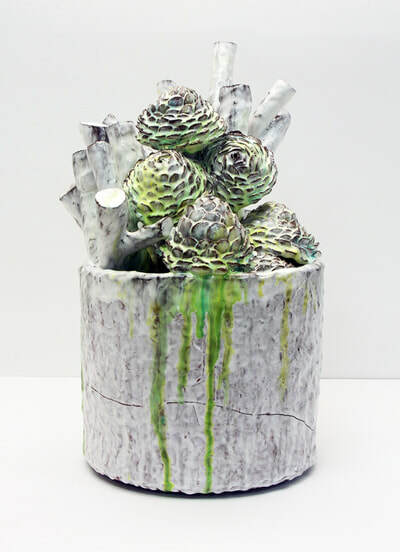 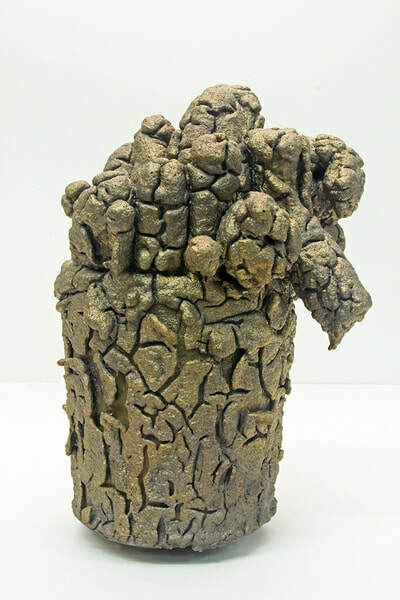 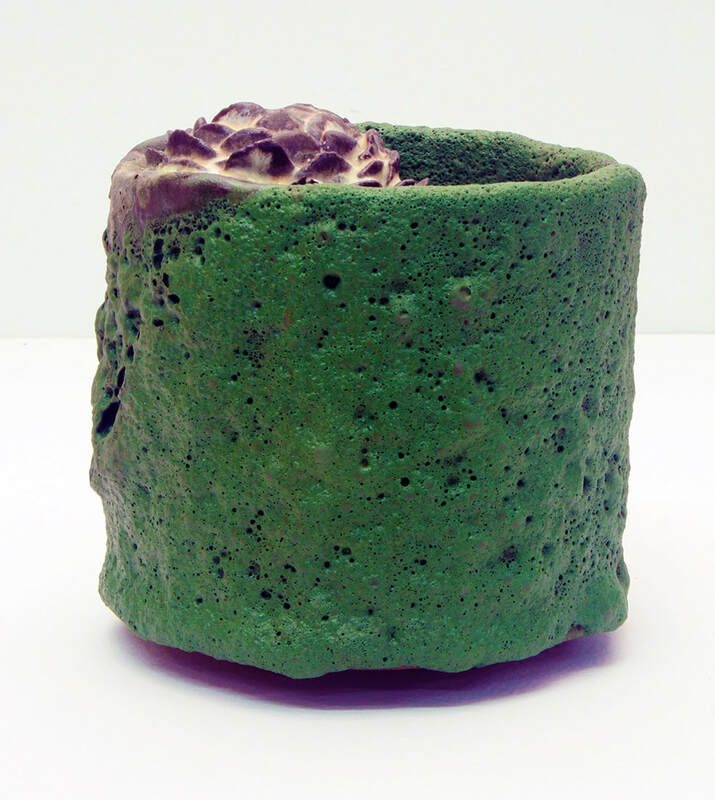 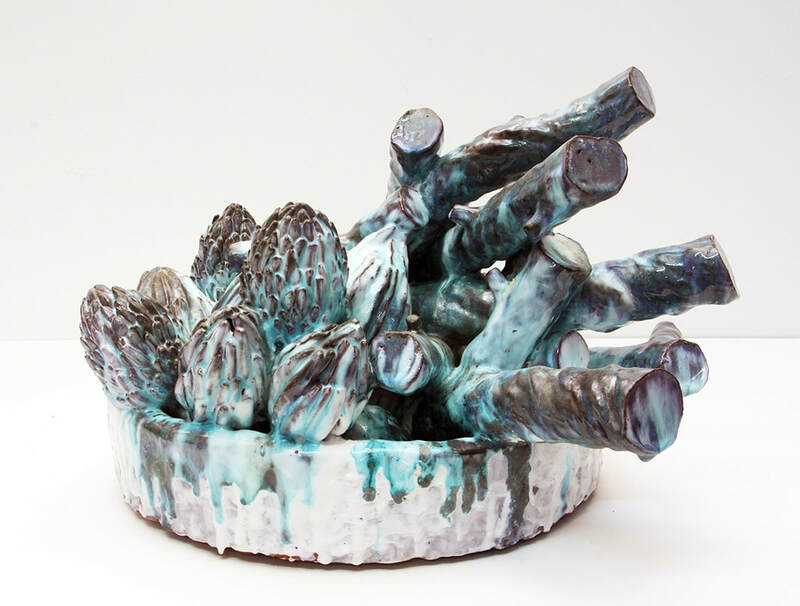 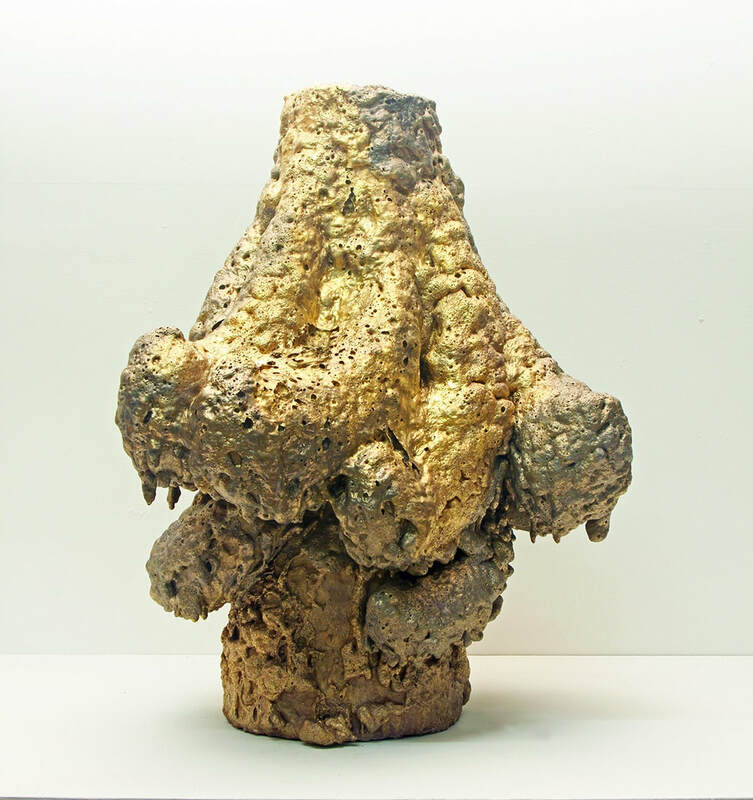 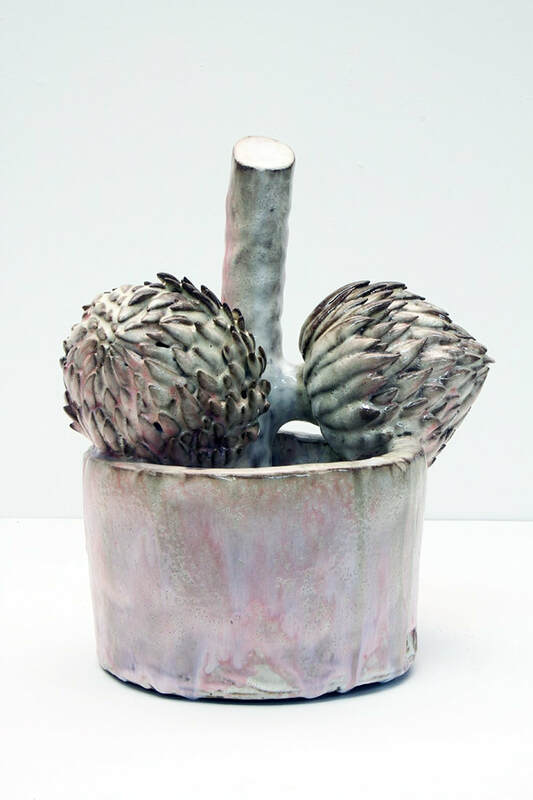 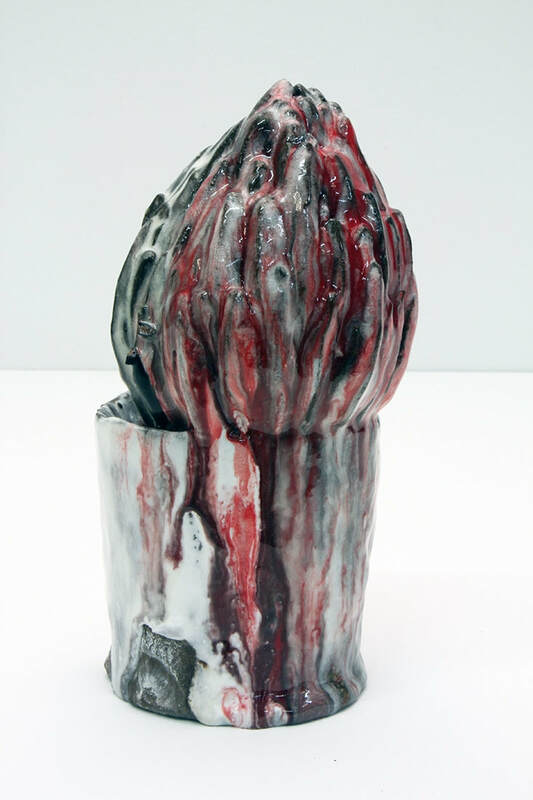 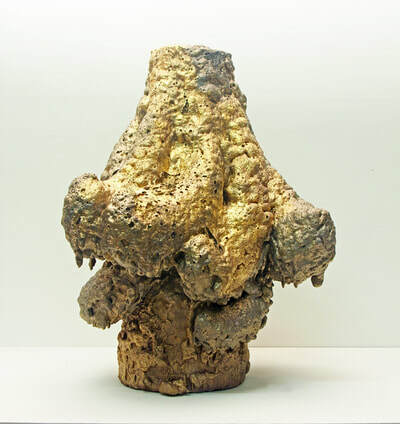 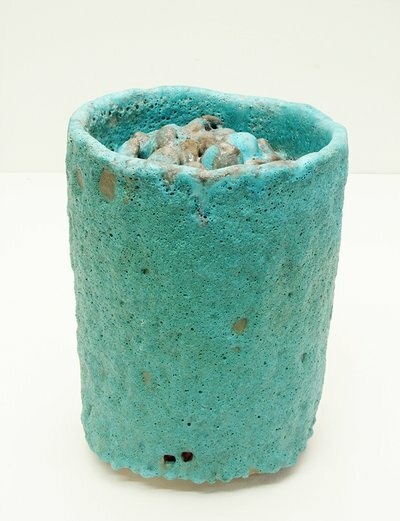 Both artists received MFA's from schools renowned for programs in their respective media; Hicks, an MFA graduate of the esteemed New York State College of Ceramics at Alfred University, and Trueman, an MFA graduate of Claremont Graduate University, California, its process-based counterpart in painting. 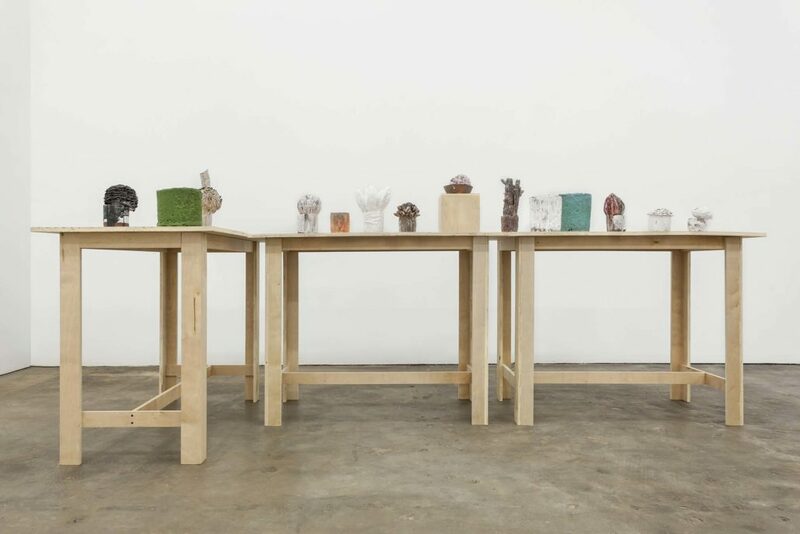 Hicks and Trueman, though working within divergent media and material-based practices, share a similar preoccupation with the expressive possibilities of surface. 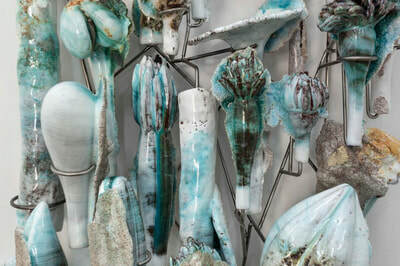 David Hicks has long been fascinated by the cyclical momentums he has observed in nature and agriculture, and has sought to capture these transitions through dimensional, biomorphic ceramics. 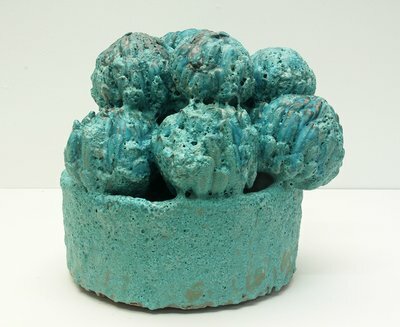 Working primarily in terra cotta, the artist creates complex, clustered, multi-part compositions that echo the growth and decay of organic matter. 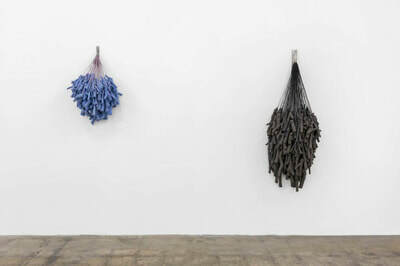 Hicks sees these transitions in nature as allegorical extensions of similar passings, metamorphoses, and shifts in human experience. 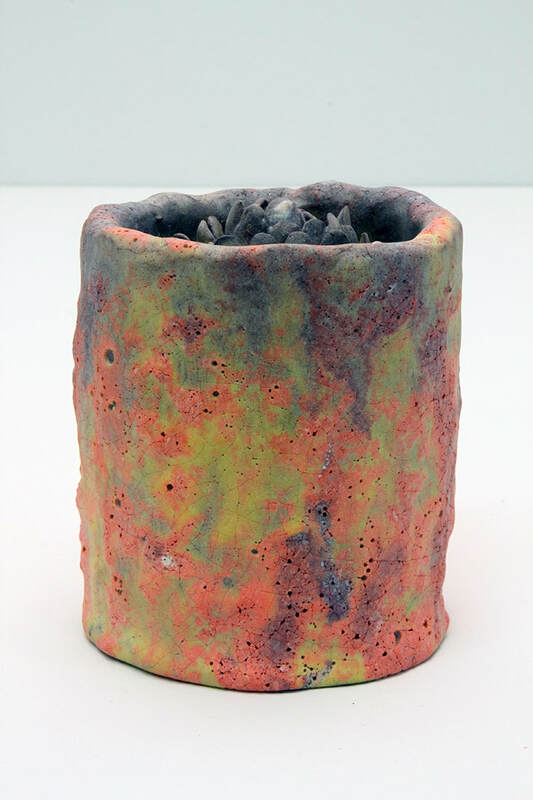 Particularly interested in the final glazing of his forms, Hicks creates subtle permutations of color and texture, and approaches the surfaces of these multi-part pieces with an intuitive and near painterly sensibility. The shifting skins cladding his sculptures bring them to life as nuanced aggregates. 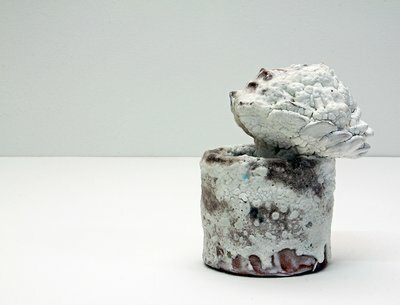 Chris Trueman's paintings are dynamic explorations of surface. 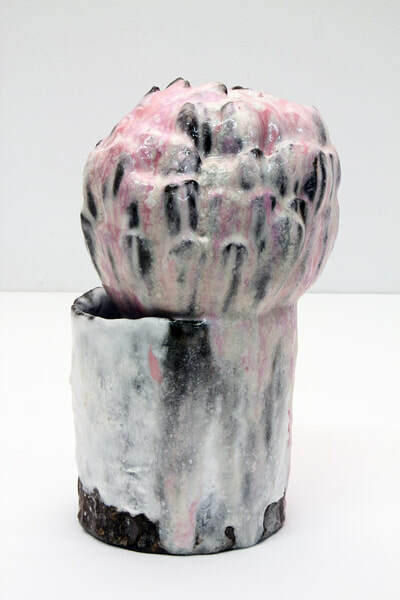 Appropriating formal vocabularies from several painting traditions, including abstract expressionism and geometric op-art, his works feel referential, yet new. Painting in acrylic and spray paint on Yupo paper mounted to board, his works have the translucency of film and the material solidity of paint. Trueman stages visual and physical tensions in his work that contribute to its material ambiguity and magnetism. 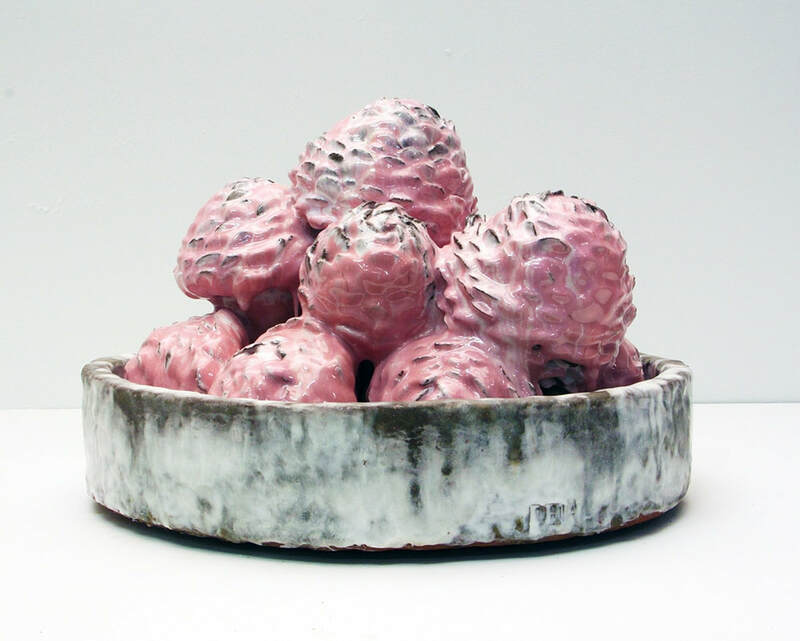 While Hicks' sculptural works feel painterly, Trueman's paintings feel sculptural. 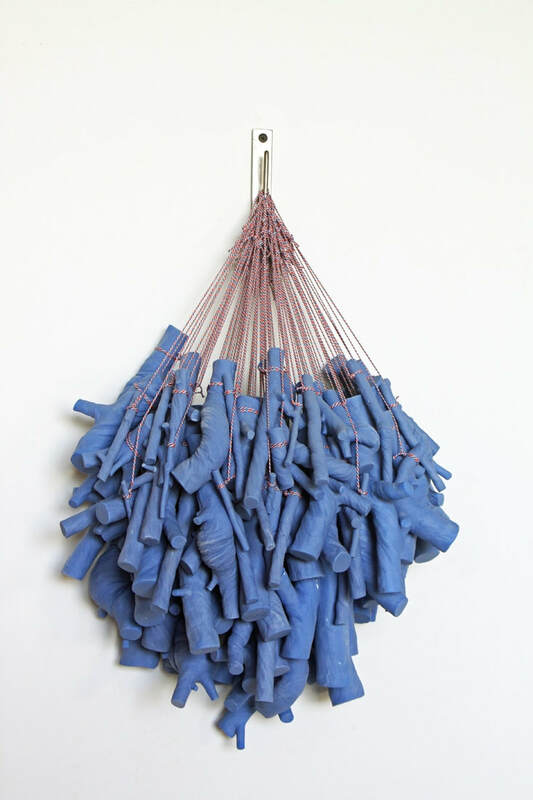 With a dynamic use of negative space and an authoritative, yet organic, handling of gesture, Trueman's touch creates a multiplicity of marks and planes that interact, pushing and pulling the surface into dimensional life.